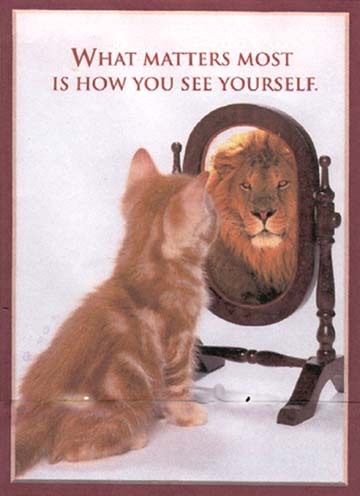 Monday Motivation: How Do You See Yourself? This one’s been circulating for some time, but it’s an important reminder. See yourself as God sees you and know that you are valued!! 1 Peter 2:9-10 (NKJV) But you are a chosen generation, a royal priesthood, a holy nation, His own special people, that you may proclaim the praises of Him who called you out of darkness into His marvelous light; 10 who once were not a people but are now the people of God, who had not obtained mercy but now have obtained mercy. Ephesians 1:3-6 (NKJV) 3 Blessed be the God and Father of our Lord Jesus Christ, who has blessed us with every spiritual blessing in the heavenly places in Christ, 4 just as He chose us in Him before the foundation of the world, that we should be holy and without blame before Him in love, 5 having predestined us to adoption as sons by Jesus Christ to Himself, according to the good pleasure of His will, 6 to the praise of the glory of His grace, by which He made us accepted in the Beloved. 1 John 3:1a (NKJV) Behold what manner of love the Father has bestowed on us, that we should be called children of God! Genesis 1:27 (NKJV) So God created man in His own image; in the image of God He created him; male and female He created them. Loved every verse! Thank you! Thanks so much for stopping by. I’m glad the Word spoke to you today!! thanks for posting this. I really needed to hear this today! Monique I’m so glad! This topic has been on my heart for the past week. I’ve been contemplating the reasons why we don’t always exercise the power and confidence we should know we have in the Lord, and one reason is that we forget our worth in His eyes. He loves us and wants us to have His very best! Always remember that and keep shining your light for him!! Thank you Patricia. We do need to be reminded that we are all beautiful and good because we are made in the image of God. We are all destined for greatness according to his plans and we should not let anyone see as less otherwise. The world has so many ways to make us feel insecure as well as rely on false exterior trappings but in the end, what the soul and heart has is what counts. Great post.